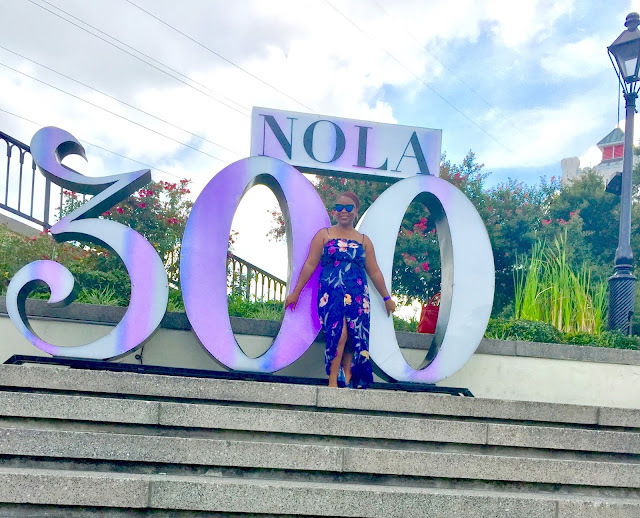 I've been to NOLA many times, usually for the annual Essence Festival; but this time, I went to delve into the history and culture of the city a bit more. I intentionally set out to patron Black owned and operated businesses; this is something I do whenever possible. Fortunately, this is a very easy thing to accomplish in NOLA. 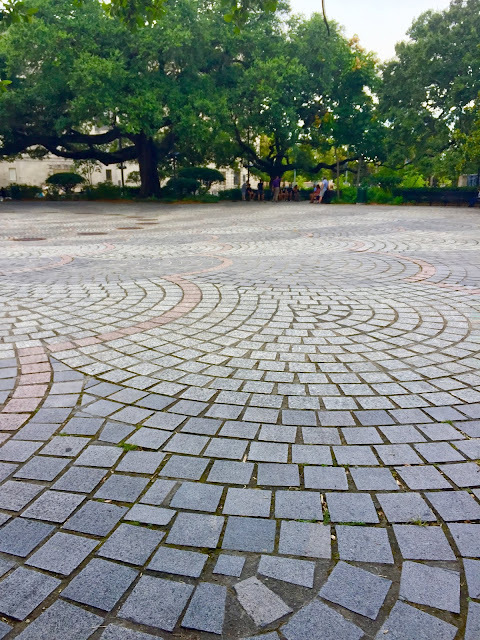 There are new businesses established often in NOLA, so be sure to expand your search outside of these platforms, or check them often for updates. While it's technically outside of New Orleans, the Whitney Plantation was the first stop on my Black NOLA tour, and it was a trip highlight. 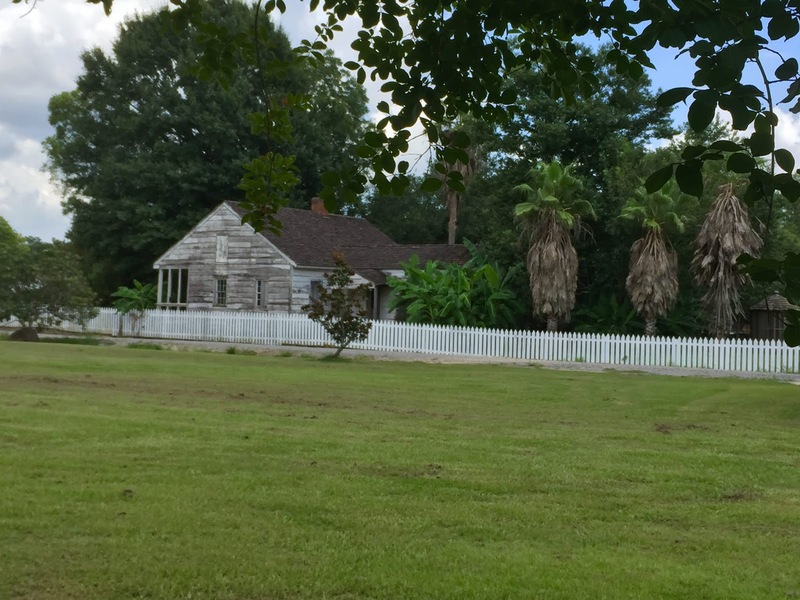 I have never been fond of nor intrigued by plantation tours until I heard about this one. 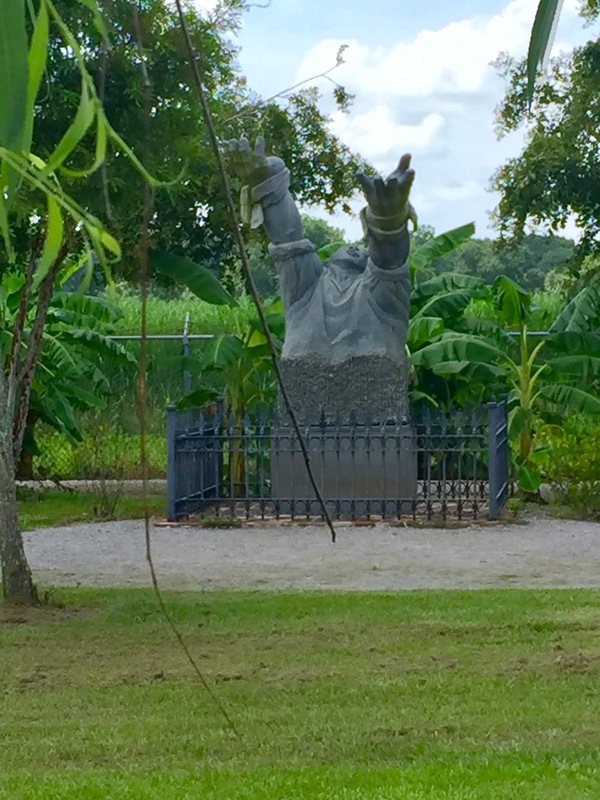 Established in 2014, The Whitney Plantation centers its curation on the life of the slave. You will not hear much about the plantation owner on this tour unless it relates directly to the slaves themselves. Can you imagine toiling under such conditions DAILY for no compensation? 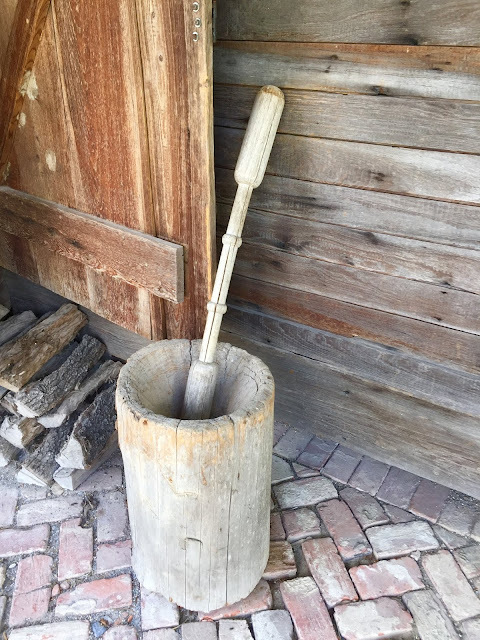 I saw this exact pounding utensil in Colombia while visiting Palenque! 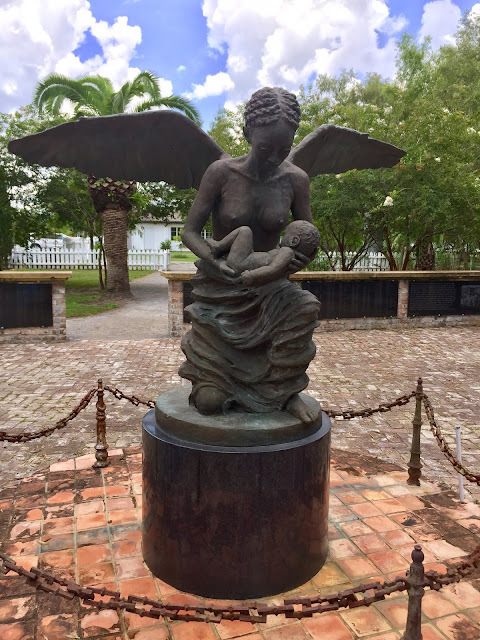 Much of The Whitney Plantation served as a memorial to those who perished there, namely children. Since mothers were either in the fields for 18 hours a day, or in the Big House tending to the plantation owner's seed, their own children often went neglected, and were malnourished. I can't even begin to imagine being forced to take care of someone else's children before your own, while simultaneously watching yours die. Look this one up! Read about it and tell a friend and 30 more friends. My People are RESILIENT! I won't give much more away, as you should absolutely experience it for yourself; and ask for Sydney to give your tour. I felt deep sorrow, but mostly anger. Our ancestors were brutalized and completely stripped of their humanity. On top of that, they were forced to try to survive in the swamps of the bayou surrounded by heinous so-called humans, live snakes and alligators. 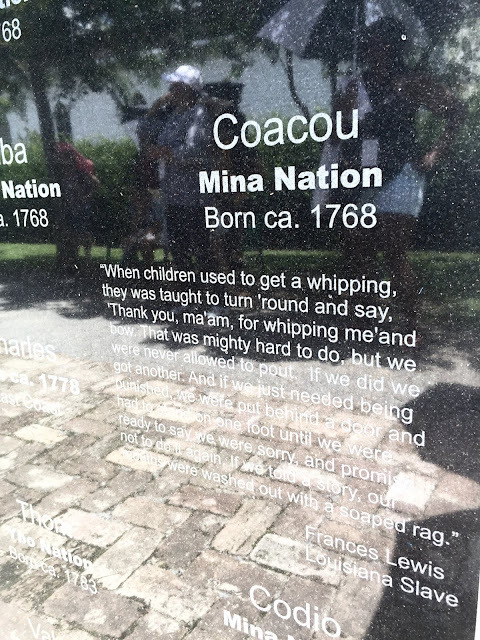 And to think that most plantation tours try to pass slavery off as some semi-humane event that should be forgotten at all costs. Reflecting on what our people endured was utterly horrendous, but absolutely humbling considering how far we, their descendants, have come. There is a wonderful souvenir shop at the end of the tour with several, well known works from Black American authors. Another trip highlight was a tour of Le Musee de f.p.c. in 6th ward. Le Musee de f.p.c. 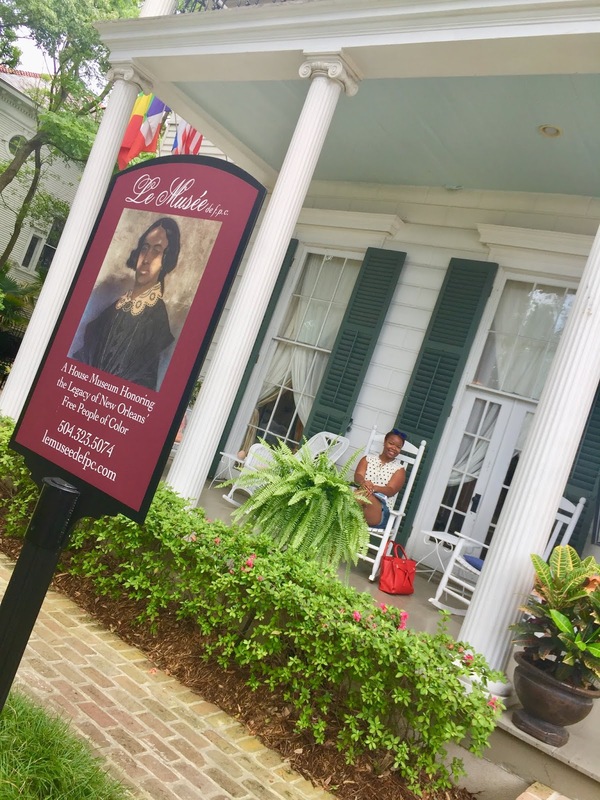 is a house museum detailing the lives of some of NOLA's free people of color. Prior to the Louisiana Purchase in the 1800s, Creoles lived freely and openly among their white counterparts. 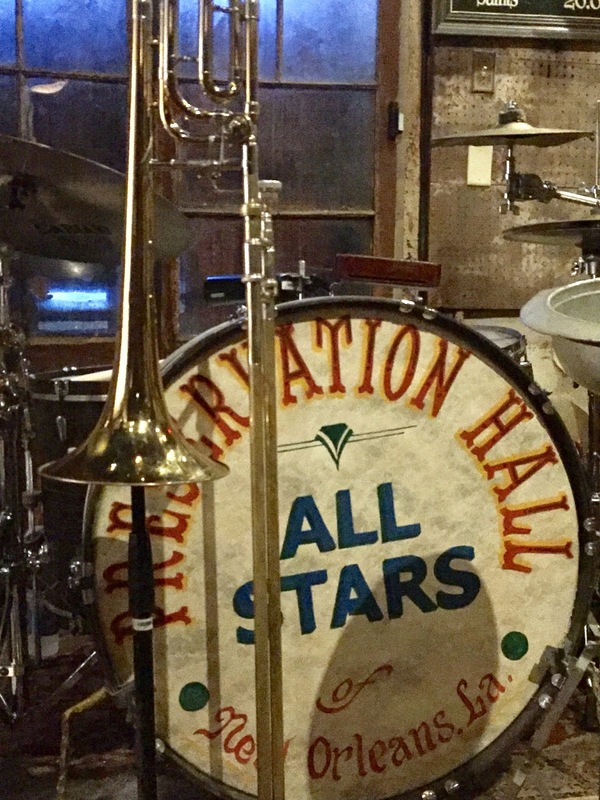 They were accomplished and trendy, and they're a very large part of the culture that we see in New Orleans today. Le Musee was established by the McKenna family, and those unfamiliar with the Creole heritage may be perplexed when they see Dr. and Mrs. McKenna. 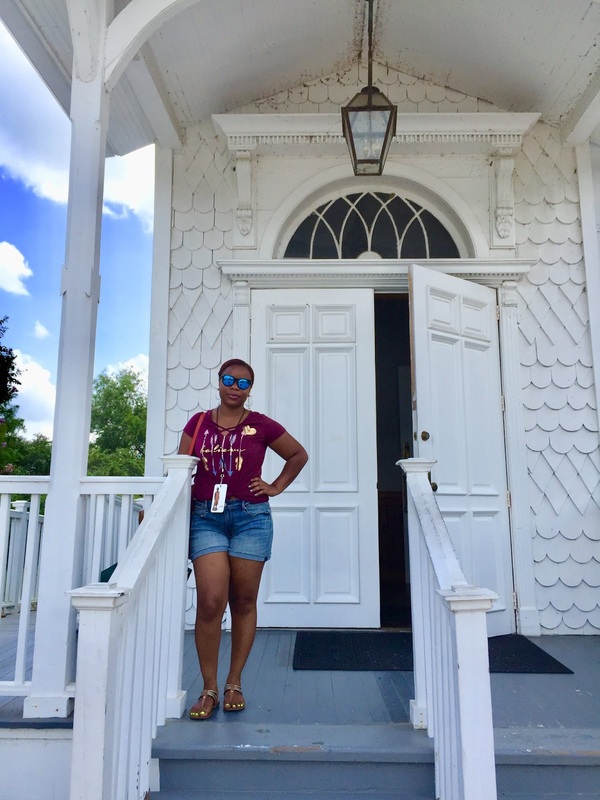 Their dedication to preserving the stories of those descended from African American and Creole heritage in NOLA is admirable. 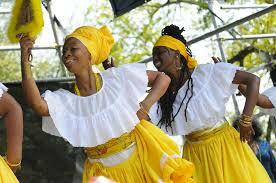 Be sure to visit their sister property, the George and Leah McKenna Museum of African American Art, as well. Photos and videos are not allowed to be taken inside of either property, and you may only visit with a pre-arranged tour. You'll absolutely need the tour for perspective; and also because Kim, curator for both museums, is absolutely wonderful. Scheduling the tours was very easy from their website, and the follow-up was quick. On the sites above, you can find information about Black tour guides in New Orleans. 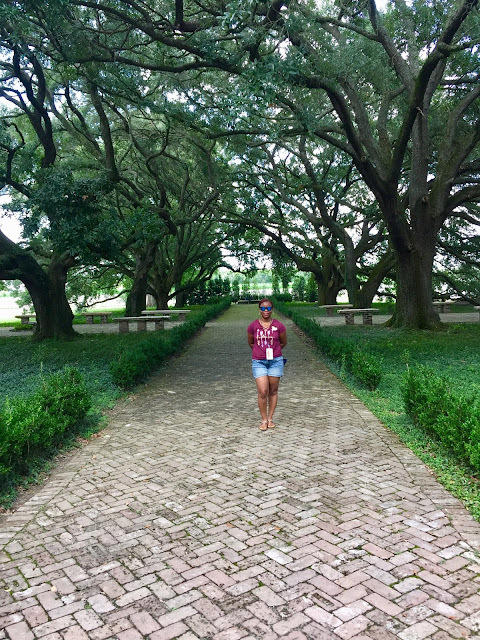 I think it is important to hear the perspectives of the descendants of the people who contributed most to the culture prevalent in much of NOLA today. So much would have been passed down to them that white tour guides may not be privy to, or may not have a vested interest in telling accurately. I did try to book a tour with one guide that I won't name, to no avail, but there are others. 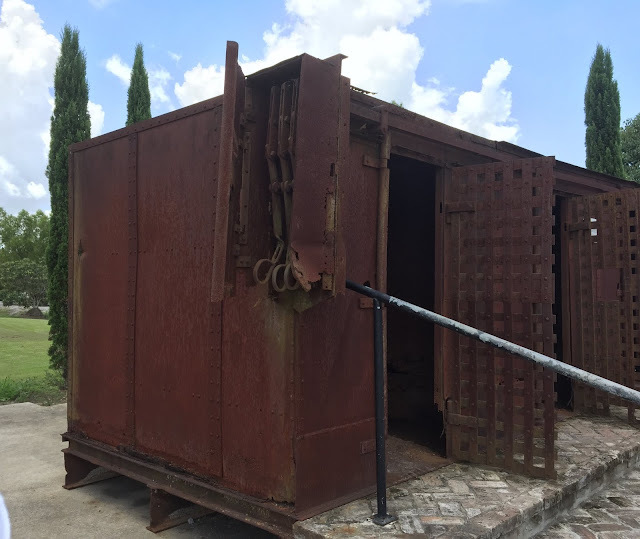 So, much of my exploration of the prominent Black sites I did on my own. 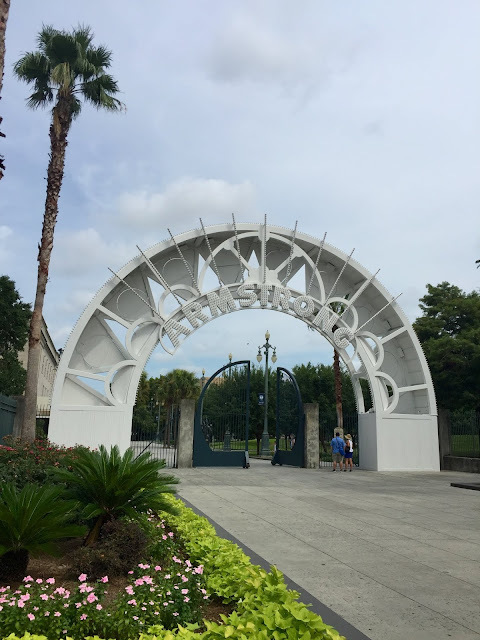 One of the most prominent places in New Orleans is Louis Armstrong Park. Named after the famous jazz musician, Armstrong (as it's affectionately called) is home to a number of cultural giants. 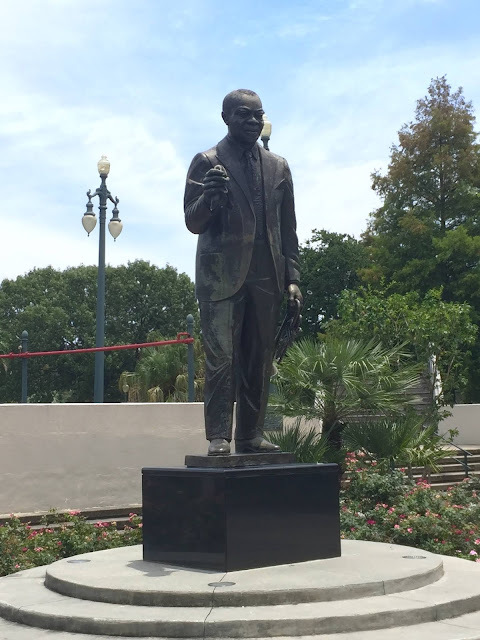 The man himself: the late, great Louis Armstrong! 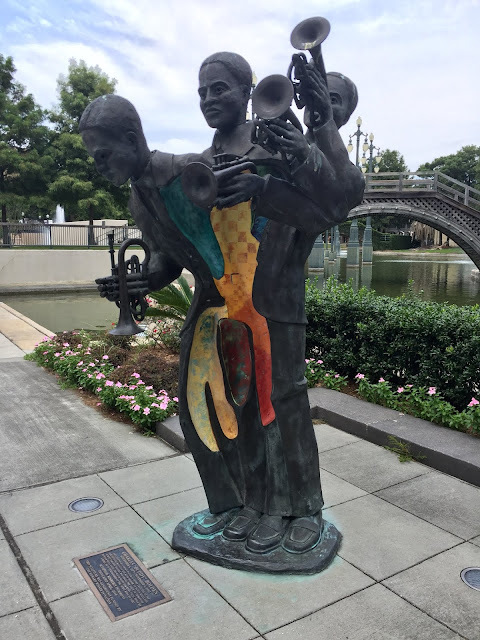 Charles "Buddy" Bolden, the father of Jazz music. LOVE this statue! 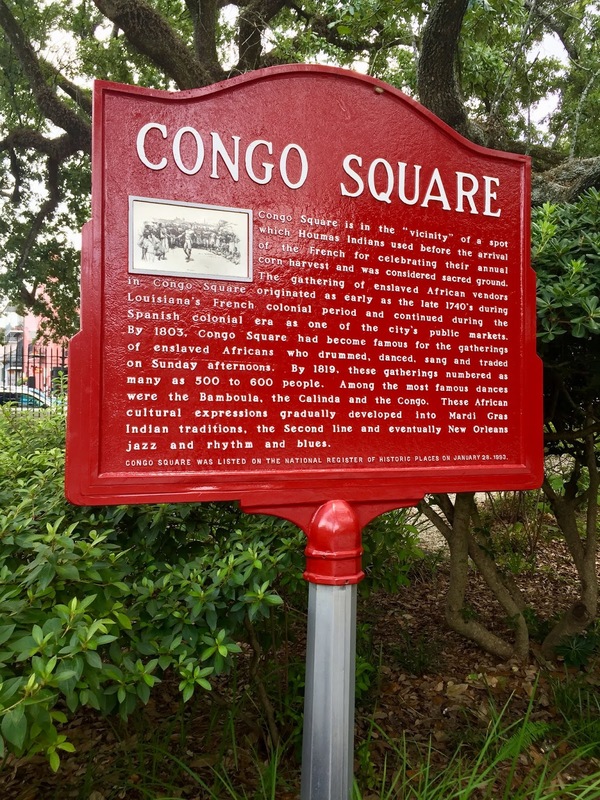 Before the park earned its name, Congo Square was and still is there. 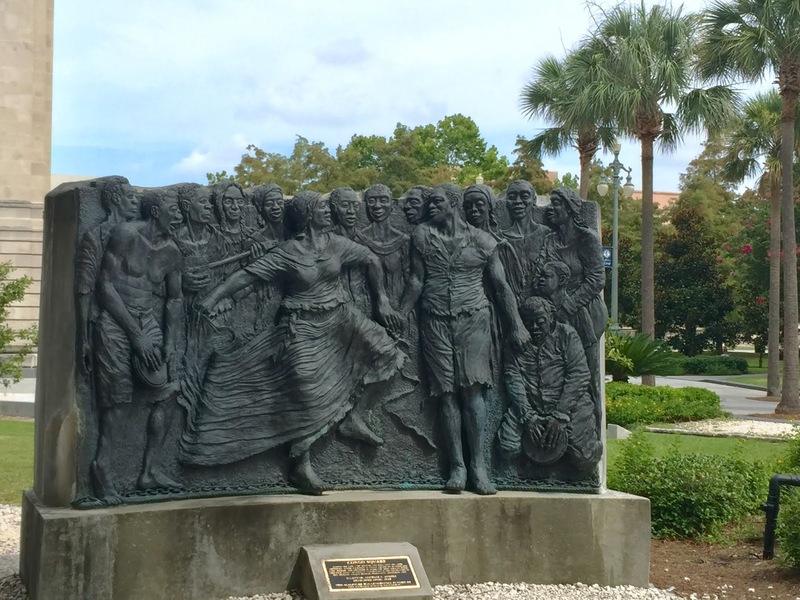 It was once the open space where free Blacks and slaves were allowed to congregate and maintain their traditions. Now, it has multi-varied uses, but still remains a large part of Black culture in NOLA. Since moving to Doha last year, I've not been drinking alcohol. Back in the day I would party on Bourbon St until the wee hours of the morning; this wasn't that kind of trip and those days are long gone. My idea of "fun" for this trip would include a night of Jazz at Preservation Hall in the French Quarter. It's a family friendly event for all ages and wholeheartedly a good time. New Orleans cuisine is second to none, hear me? NONE! I have taken trips there before just to eat. 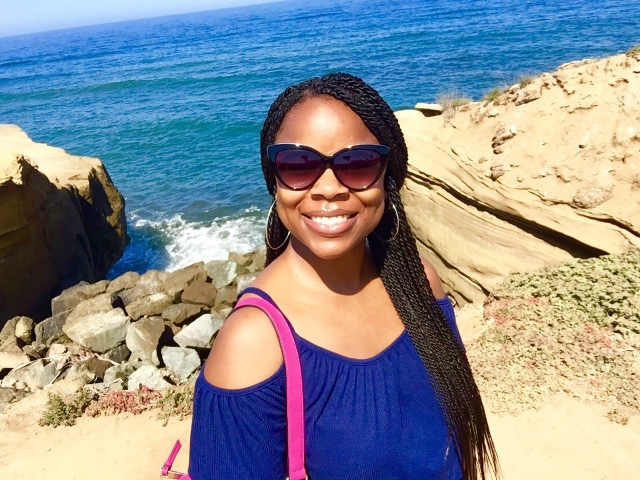 There are dozens of Black owned restaurants, bars, coffeehouses, lounges and cafes in this city. Use one of the links above as a guide, and be sure to visit those outside of the tourist areas. 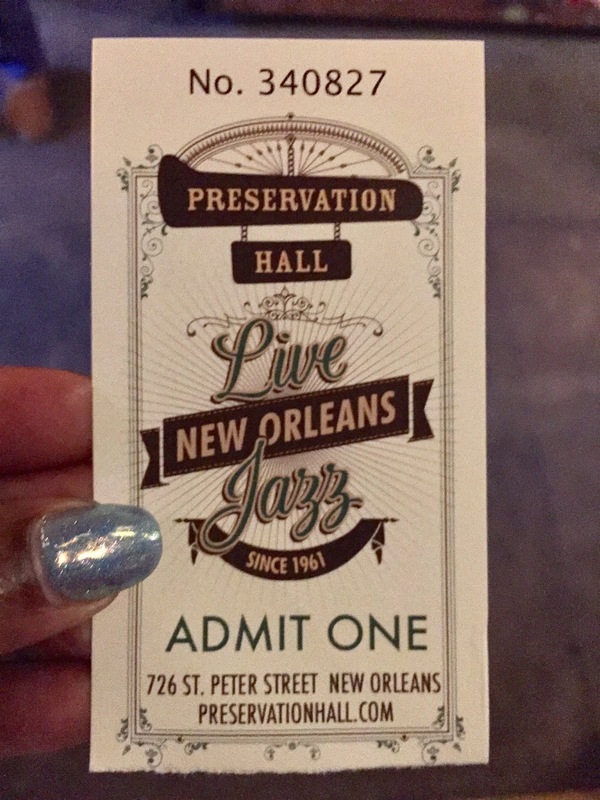 Every place I dined at was fabulous, but my favorites were Neyow's Creole Cafe (ate 2x), HEARD DAT Kitchen (take out) and The Praline Connection (ate 2x). For lodging, I used Airbnb. HEAR ME OUT: Airbnb is a MAJOR point of contention around the country but especially in New Orleans. Since Hurricane Katrina, the Black population in New Orleans has dropped significantly. In the 6th ward in particular, it has gone from 80% to 37%; the entire 9th ward has been gentrified. This is largely due to investment properties popping up all over the city and housing short term tenants, us Airbnb users. 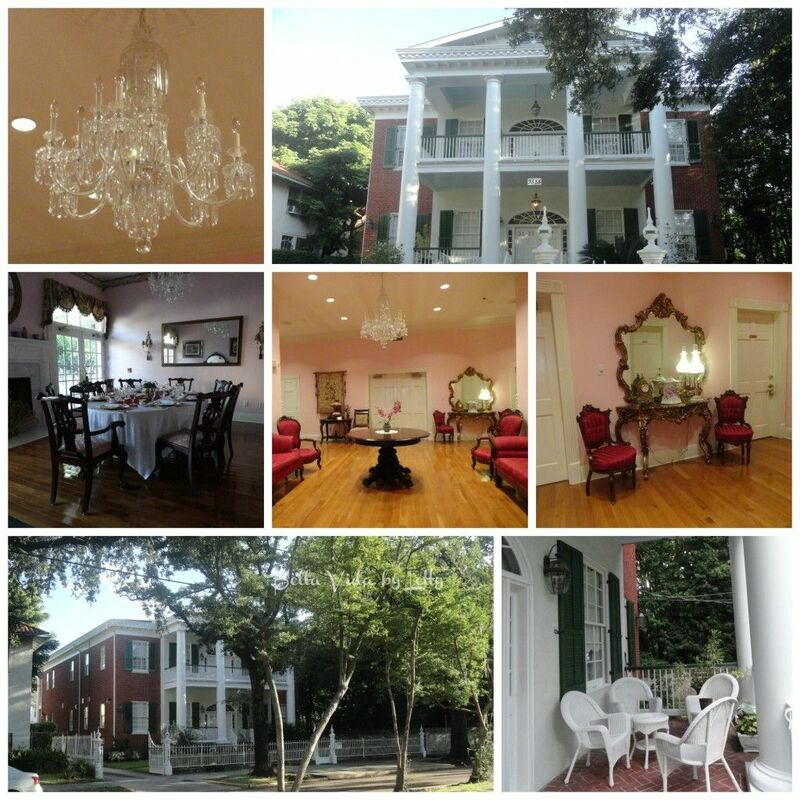 We were advised about a man who owned 25 rental properties in the area but did NOT live in Louisiana. In total, there are over 3,000 short term rental/Airbnb properties in the city of New Orleans. This could potentially be housing for 3,000 Orleanians who desire to return home but can't, as they've been priced out of the area. These investment owners aren't currently paying proper taxes to the city, either. On top of that, they're driving up the property taxes for those who actually live in the area. This is arguably the biggest point of contention right now, and something that the locals hope to see change soon under the new mayor. 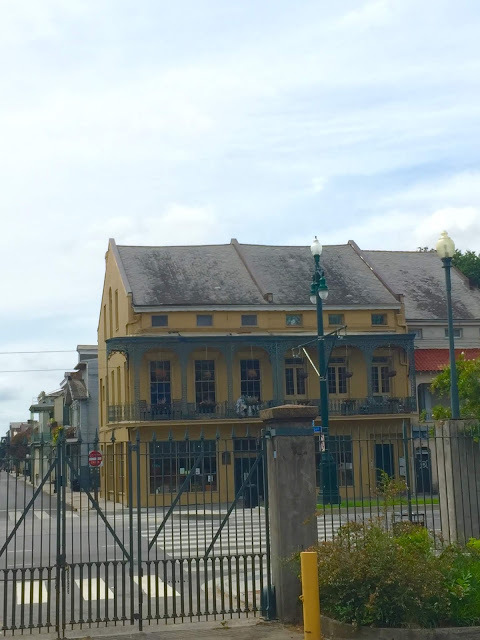 1) the owner was Black 2) the owner resided in the home 3) had lived in NOLA for a while. Y'all, I just scratched the surface. I intend to make this an annual thing when I come home for summer. First of all, NOLA is FABULOUS. It is unlike any other city in America, and I love her for that. In fact-she's OLDER than America. Dig that. I only accomplished half of what was suggested within the time that I had. Nevertheless, I hope some of this information was helpful for those who desire to further support Black owned and operated businesses. These details are not at all comprehensive, and sharing is caring. 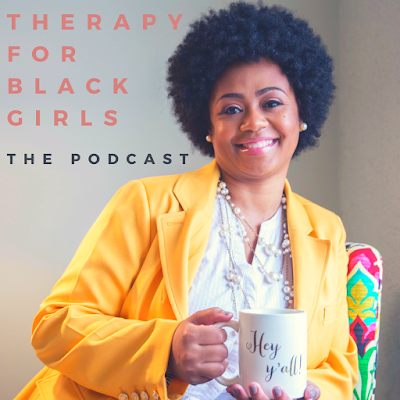 The links that I shared above are very, very detailed, and are a good start to planning a "quickcation" to NOLA to support Black businesses. 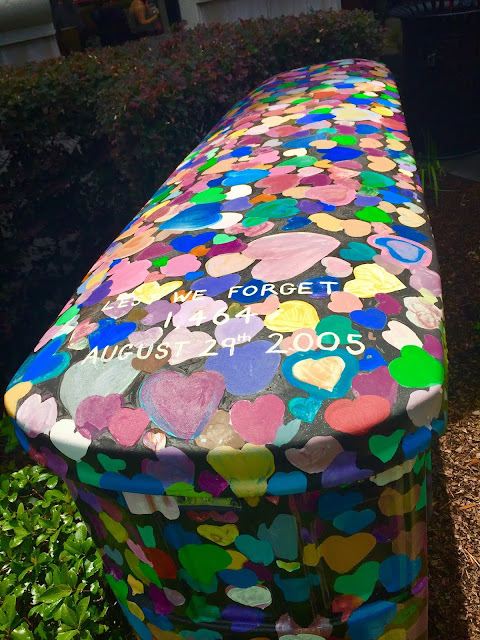 I share much more information, including my visit to St. Louis cemetery no. 1 and more, in the NOLA highlights on my Instagram page. Check it out. Let's make this a habit!